Interested in finding your JOSSEY/JOSEY ancestors? Open the pages to go back in time and research your family line. 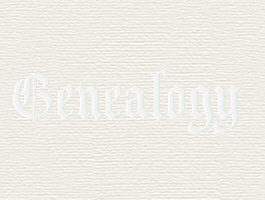 Attached are two genealogy forms. as far back as you can. i.e. Your great grandparents and their children, etc. !!! - IMPORTANT - !!! and we should be able to connect to your grandparents. who will then provide you with any information the Historians have in their database on your ancestors. Please be sure to complete the form in its entirety, making sure all names, dates and places are complete and, most importantly, please spell the months rather than using numbers. 2003 REGISTRATION FORM 2003 REUNION COMMENTS/ETC.